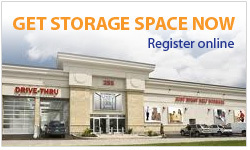 Our secure, climate controlled storage facility is located minutes from Parliament Hill in Ottawa. In fact, we are only 2.7 km away located at 255 City Centre Avenue in Ottawa’s core. Our location is convenient for all commuters as we are centrally located and easily accessible from Gatineau/Hull. We are close to the war museum, O-Train for students, and just off the main transit-way. In regards to self storage and moving supplies, we are industry leaders! Our local storage facility is secure, climate controlled, brightly lit, spacious, and provides 24/7 controlled access. Furthermore, our on-site staff are knowledgeable and are always available to answer any questions you have and provide professional advice. This is what sets Just Right Self Storage apart with our exceptional customer service and superior storage solutions. Looking for Directions to Our Ottawa Storage Facility? Find us on the map with this convenient tool from Google where you can simply enter your address below and receive turn-by-turn directions to our storage facility.